AMP3 PR is a boutique firm based in New York City. Founded more than 12 years ago, the company began with a focus on PR for organizations in the music industry, but over the past eight years, AMP3 has made a conscious effort to reposition themselves as the agency of choice for fashion and lifestyle brands. Besides CR7 Denim, their clientele includes Cat Footwear, Sebago, Kimoa, the Nolcha Shows and many others. As a result of their hard work, the company is getting noticed: online industry resource PR Couture awarded AMP3 PR’s founder as Communicator of The Year at its Bespoke Communication Awards, along with a win for Media Event Of The Year for their work on Cat Footwear’s #MakeAScene press tour. Fashion is always about finding the right fit, and when international soccer star Cristiano Ronaldo launched his CR7 Denim line, he and his team needed public relations efforts that could be executed on a global scale. In addition to North America, the launch story was picked up by media outlets across Europe and Asia. The CR7 Denim debut’s success came thanks to AMP3 PR — a firm whose sophisticated style of media outreach has been fueled by Cision Comms Cloud™. Like many other PR firms, AMP3 PR’s team estimated they were spending up to 70% of their time both researching appropriate media contacts and pitching stories on behalf of their clients. This meant less time for new business development and other creative work that is key to growth. AMP3 uses Cision Comms Cloud, a platform that includes analytics, a management calendar, influencer recommendations and more. Its extensive search criteria and filters are designed to accelerate the process of list building, engage with influencers in a meaningful way, take advantage of editorial opportunities and more easily execute multi-channel campaigns. The most recent edition of Cision Comms Cloud also integrates PR Newswire’s news release distribution network as well as Help A Reporter Out (HARO), where journalists can make requests for sources. 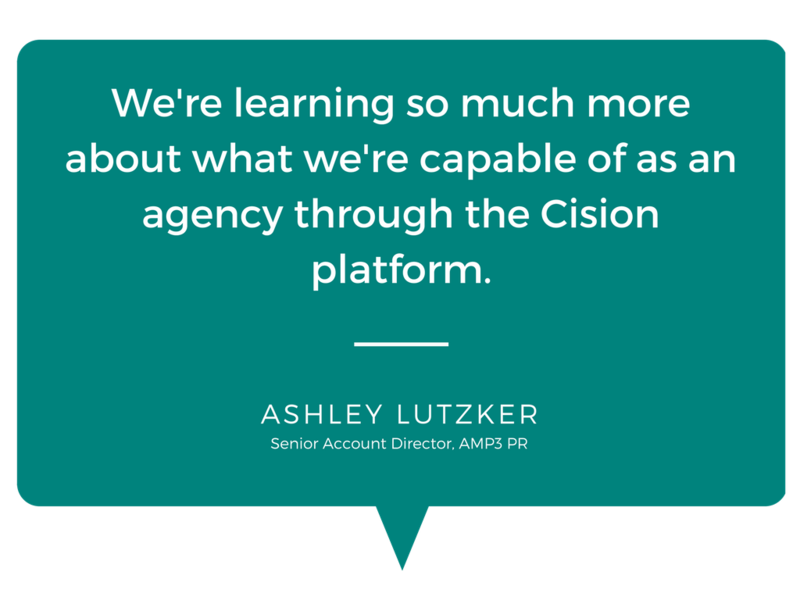 AMP3 PR has been using products and services that are now integrated into the Cision Comms Cloud for eight years — to the point where it’s become a standard and integral part of their business processes. As a longtime customer, AMP3 PR says it has also offered direct feedback to Cision on changes and improvements which are now part of the platform. Time Savings: AMP3 PR says fewer hours spent on manual forms of research is the No. 1 benefit they have enjoyed through Cision Comms Cloud. Improved Planning: AMP3 makes use of the full capabilities in Cision Comms Cloud, including its database of editorial calendars to give its team a sense of what topics will be featured in a particular publication’s issue, and when. Help A Reporter Out, where media actively look for expertise, has been another standout feature. 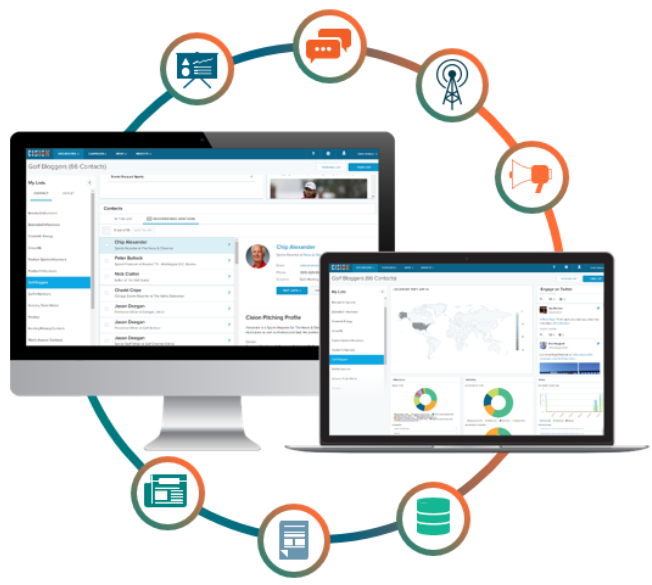 Personalization: While they use the monitoring functions in Cision Comms Cloud to track the success of their campaigns, AMP3 also creates reports earlier in the process to assist with client requests. For AMP3 PR, there are always new and diverse clients to bring on board, with a range of needs. Fortunately, the company not only has many successful campaigns under their belt but also a long track record in data-driven communications.